We only had one morning to spend in the Grand Canyon, but we made it worthwhile. 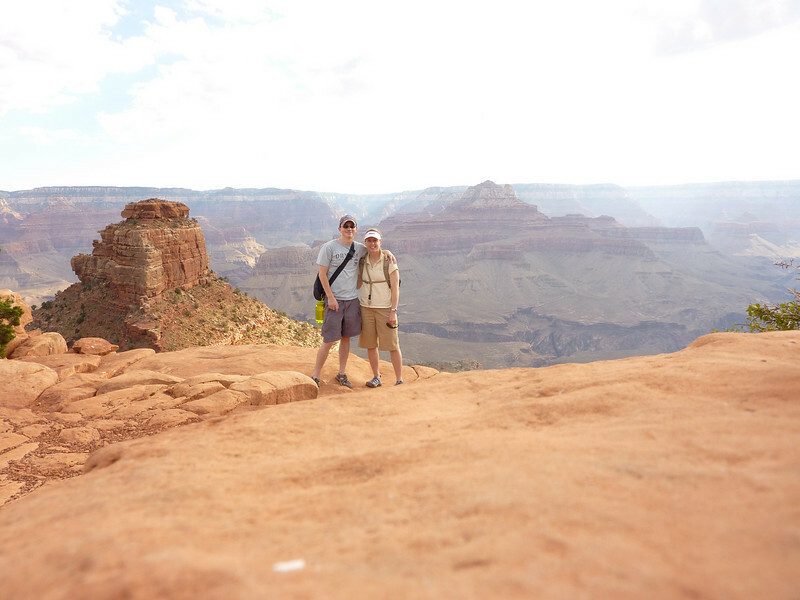 We spent an hour or so on the South Rim taking in the sights, and then spent a few hours on South Kaibab Trail. That afternoon we drove to Durango, CO.
A picture largely of the rock that the camera was sitting on, but also contains us and some scenery. This was at the bottom of our short hike, about 1200' down and 1.5 mi along the trail.